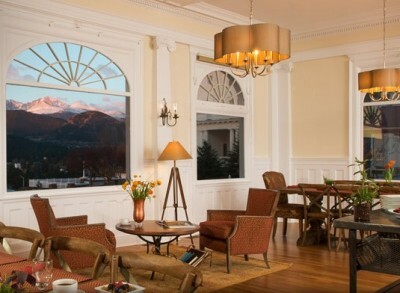 Estes Park, CO (USA) – May 3, 2013 – The best way to enjoy the Stanley Film Festival is to buy a package, which includes a pass to the Festival and Stanley Hotel lodging! Passes grant priority access to regular film screenings, industry panels, and serve as a credential to select exclusive events and VIP lounges. Please note, a two night minimum stay applies. The Stanley Film Festival offers 3 types of passes: The Thriller Pass ($400), The Paranormal Pass ($217), and The Slasher Pass ($80). The Thriller Pass includes admission for one to: All regular Festival screenings, Opening Night Film and Party (5/2), Whiskey Tasting (5/3), Closing Night Film and Party (5/4), Bloody Mary Awards Brunch (5/5), Industry Panels, and the Hospitality Lounge. Additional Thriller Pass perks include one voucher for a Stanley Hotel ghost tour, an official SFF merchandise item, complimentary overnight parking at the Stanley Hotel. The Paranormal Pass includes admission for one to: All regular Festival screenings, Industry Panels, Opening Night Film and Party (5/2), Whiskey Tasting (5/3), and the Hospitality Lounge. The Slasher Pass includes admission for one to: All regular Festival screenings and Industry Panels.